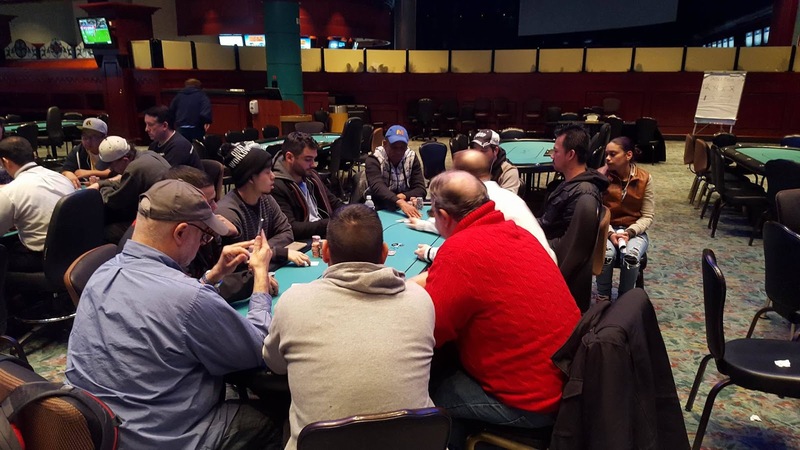 47 players remain in Event #14 ($300 NLH Big Stack). 27 will be paid. The players are currently on a dinner break. When they return they will play Level 21 (5,000/10,000 with a 1,000 ante). After James Campbell's elimination, the remaining two players have agreed to chop the 1st and 2nd place money, and Richard Alarie will take the trophy as he ended with the most chips. 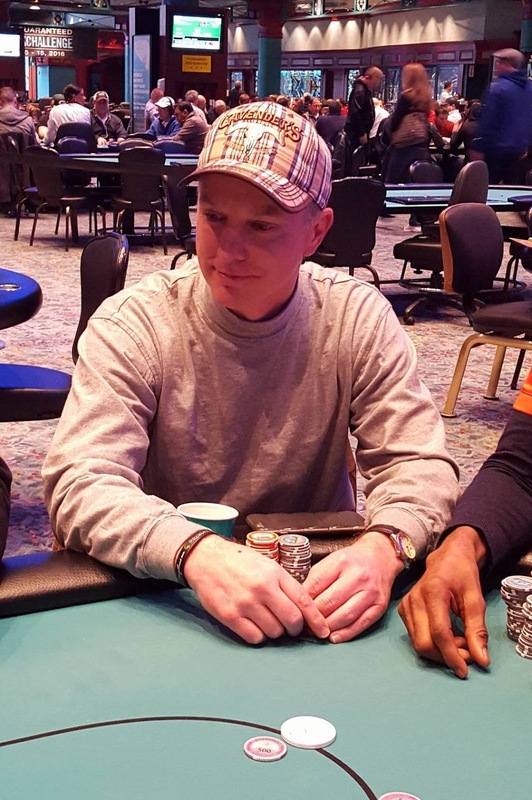 Jason Eisele announces that he is all in from the small blind, and James Campbell quickly calls for less. 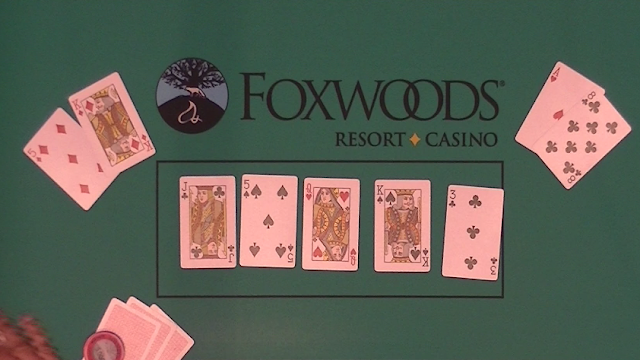 The flop comes [qh][jc][5s], giving Eisele the lead with a pair of fives. The [ks] on the turn increases that lead giving Eiselw two pair. Unfortunately for Campbell, the [3c] on the river does not improve his hand, and he is eliminated in 3rd place. 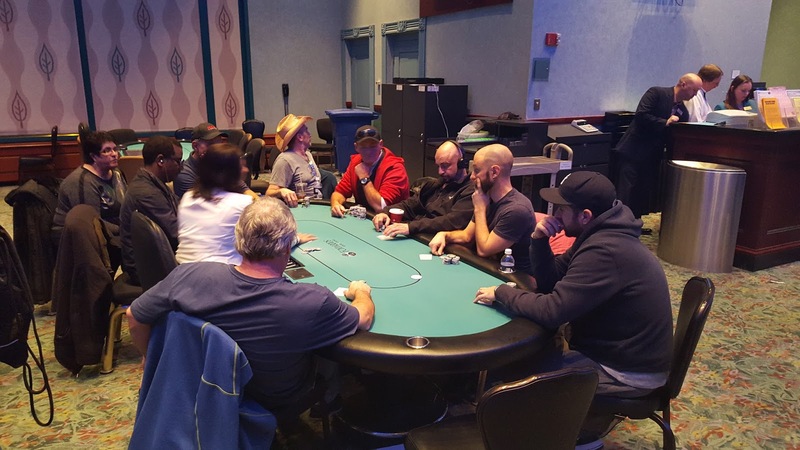 There were a total of 261 entries in today's $300 No Limit Hold Em Big Stack Event. Sheldon Goldstein shoves all in holding [9c][9h] and is called by Donald Schneider holding [ac][6d]. 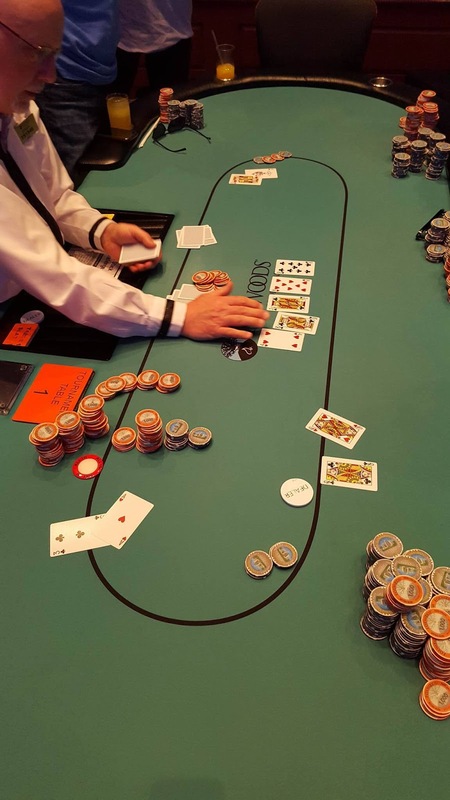 The flop comes [ad][8h][5h], moving Schneider into the lead with his pair of aces. 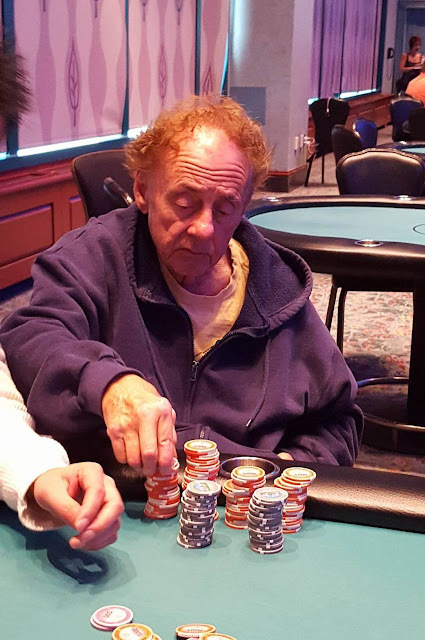 The [qh] turn and [7c] river is of no help to Goldstein and he is eliminated in 2nd place taking home $8,400. Donald Schneider wins Event #13, taking home the trophy and $10,422. 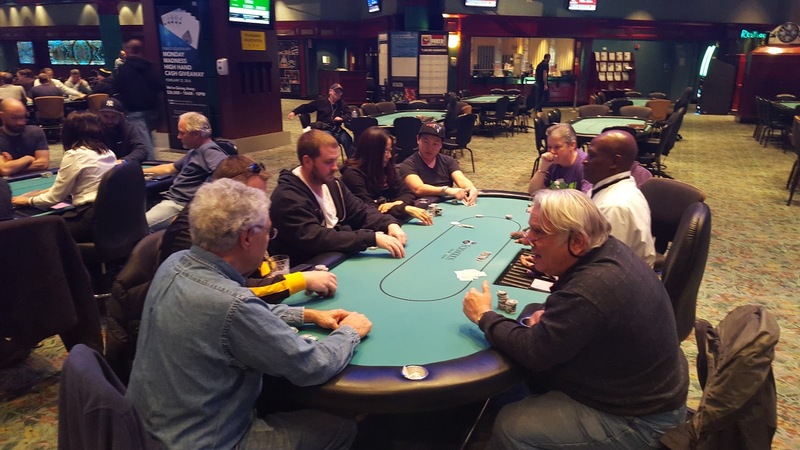 For a details of the final hand, please see this link. 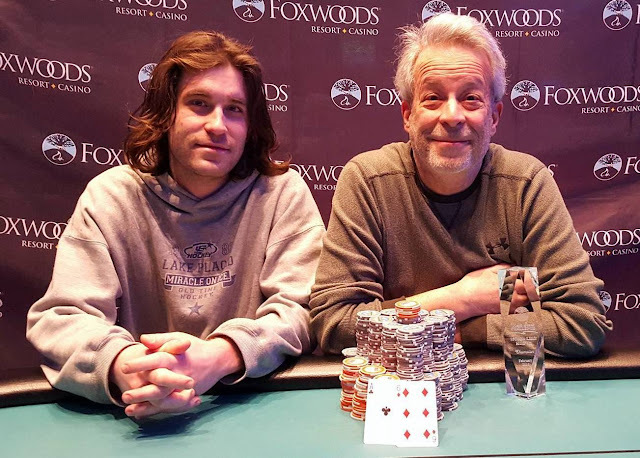 Sheldon Goldstein shoves all in on the button, and is called by both Donald Schneider in the small blind, and Adam Darkazalli in the big blind. Both players check the [kd][qc][6h] flop. When the turn comes the [4c], Schneider shoves all in, having Darkazalli covered. "I dont know that I want to fold this," Darkazalli says. He then calls. The river is the [ah] giving Goldstein a higher two pair, and awarding him a full triple up. 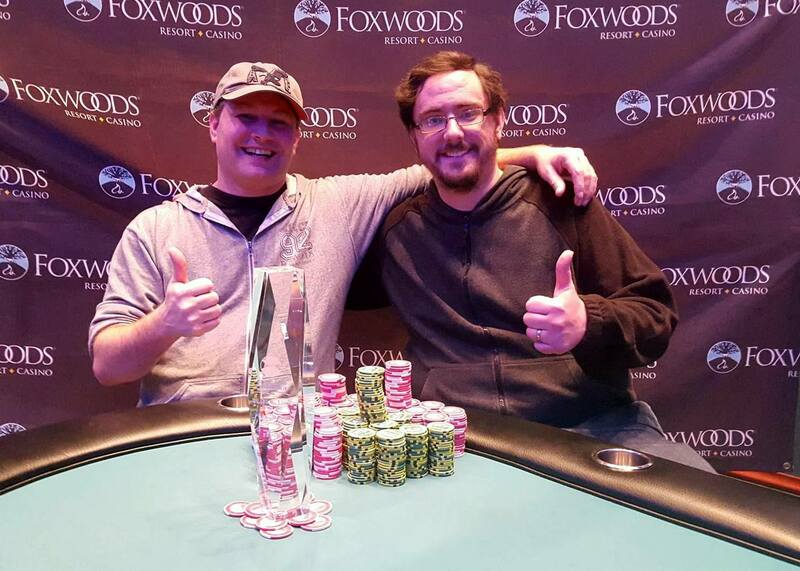 Schneider wins the side pot, eliminating Darkazalli in 3rd place. 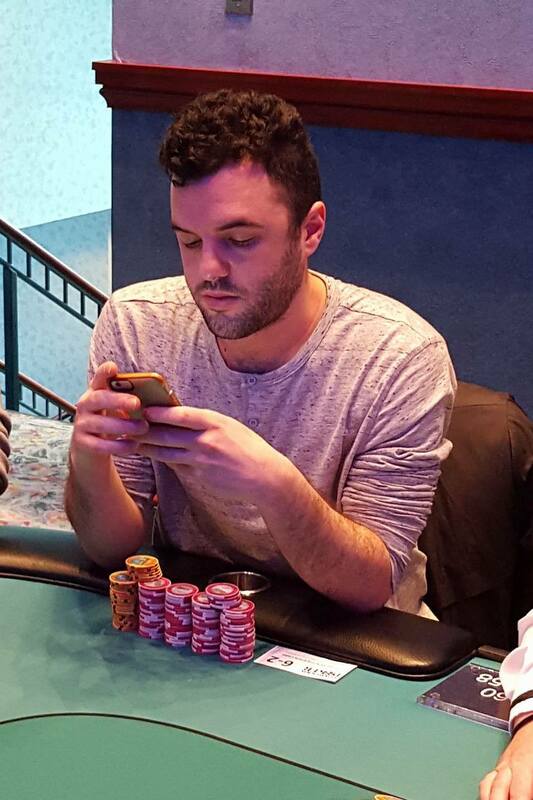 Kyle Kenney shoves all in on the button for 440,000. 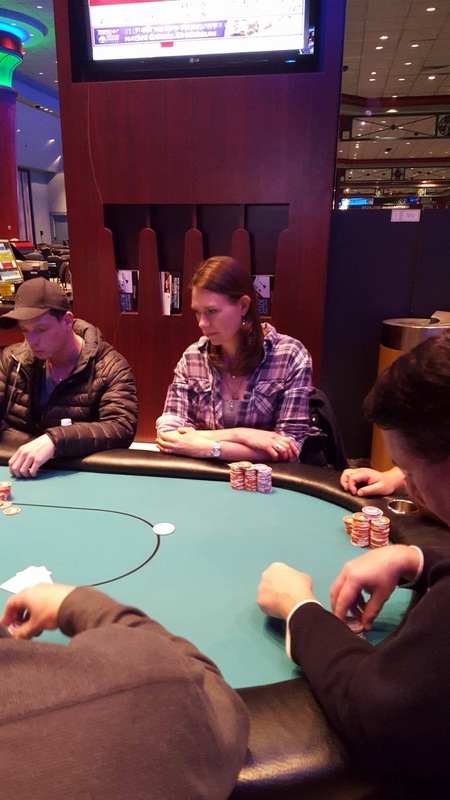 James Campbell folds, and Richard Alarie says, "I'll call ya," in the big blind. "That's not good," Kenney says. The board runs out [kh][8s][7s][ah][9d], eliminating Kenney from play. 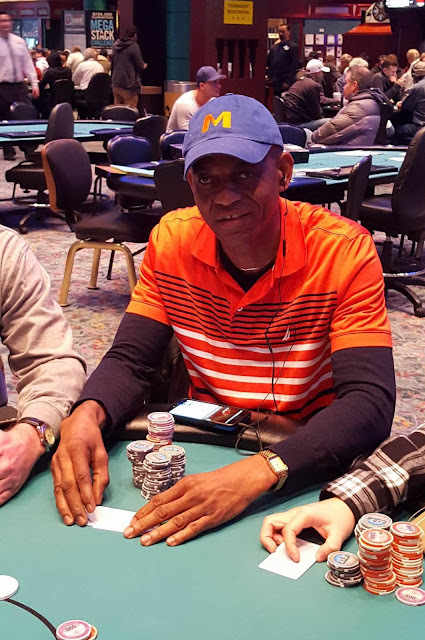 Jonathan Drane raises to 80,000 on the button, and Richard Alarie re-raises to 220,000 in the small blind. Jason Eisele folds his big blind, Drane, shoves all in, and Alarie calls. The flop comes [4c][kh][9s], giving Alarie a set. The [kd] on the turn gives him a full house, and the river comes the [10d], eliminating Drane in 5th place. The final four players have decided on a chop deal. They are all guaranteed $8,400, and they are playing for an extra $2,022. 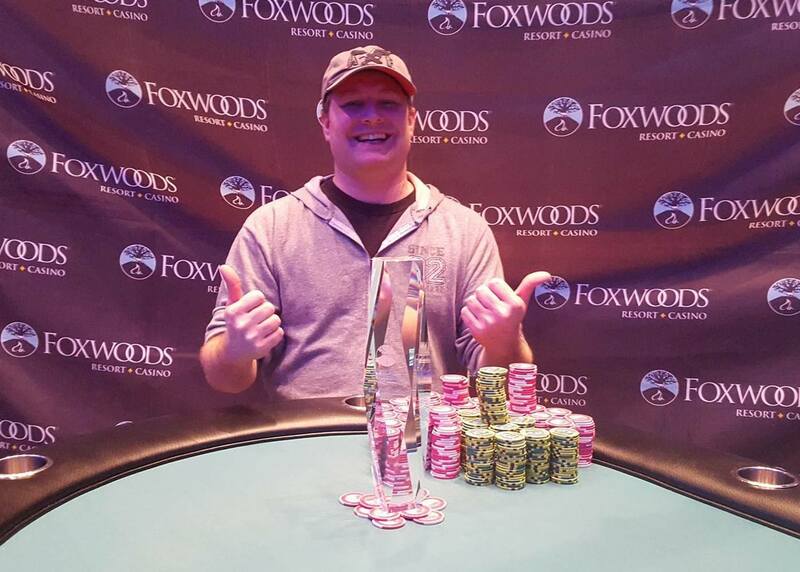 First place will take $10,422 and the trophy, and second through fourth will each take $8,400. 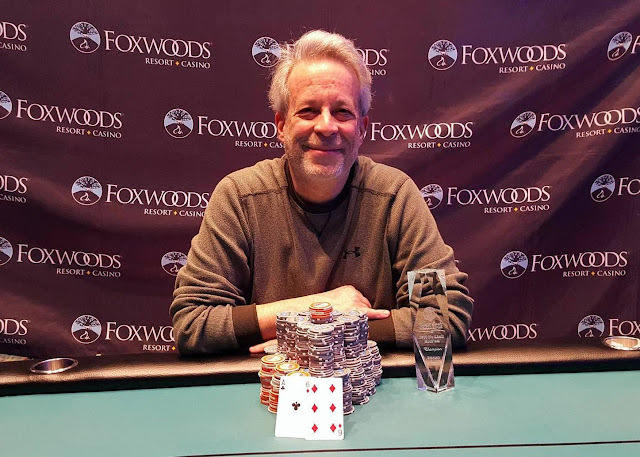 Steve Berkowitz shoves all in holding [10h][10d] against his opponent's [as][kh]. 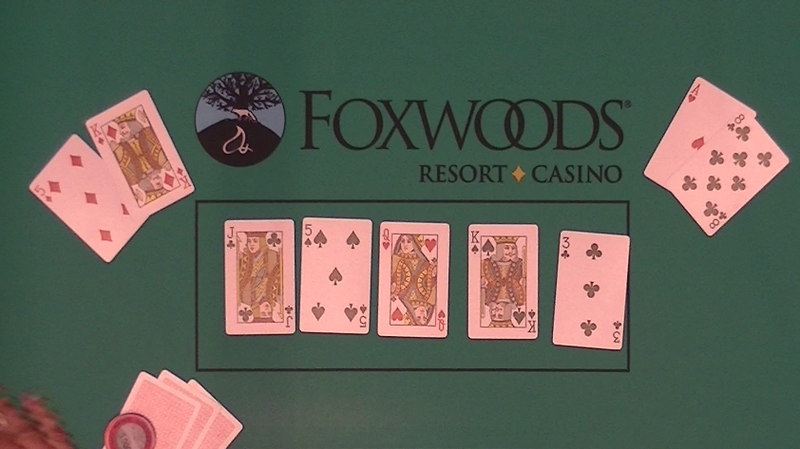 The [qs][9s][3d] flop is safe for Berkowitz, as is the [jc] turn. It's the [10c] on the river that gives his opponent the straight, and he is eliminated from play. 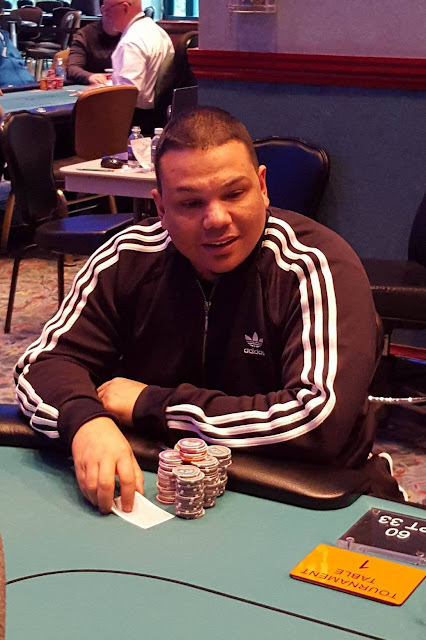 The board runs out [jc][9c][8h][kc][4h], eliminating Duong in 5th place. Happas is now sitting with 850,000, and Darkazalli with 420,000. The 7th place finisher in the Main Event wishes to remain anonymous. He was eliminated after he shoved his last eight big blinds holding [ac][qd] and was called by James Campbell holding [ks][jd]. 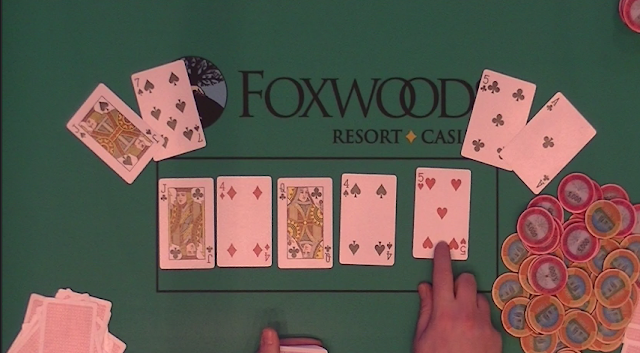 Campbell flopped trip jacks, and made a full house on the turn. We are now down to the final six players. 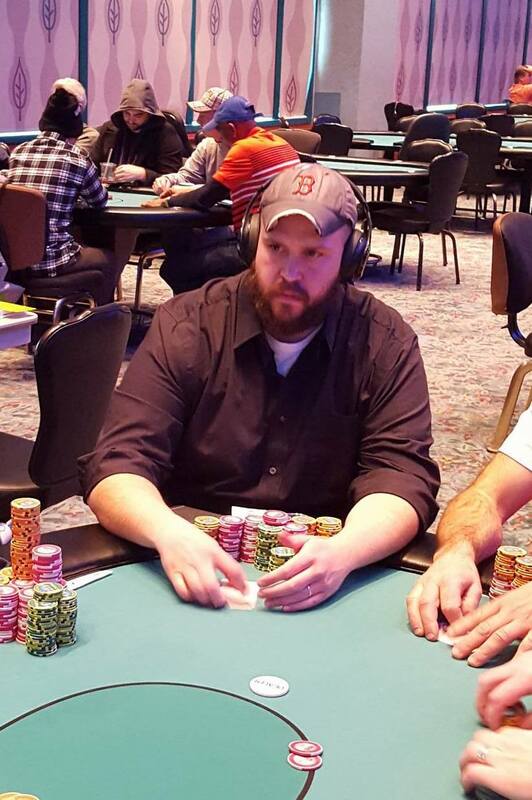 Matthew Wantman shoves all in holding [ac][kc], and is called by James Campbell holding [qs][qh]. The board runs out [8s][8c][7s][jd][9c], eliminating Wantman in 8th place. 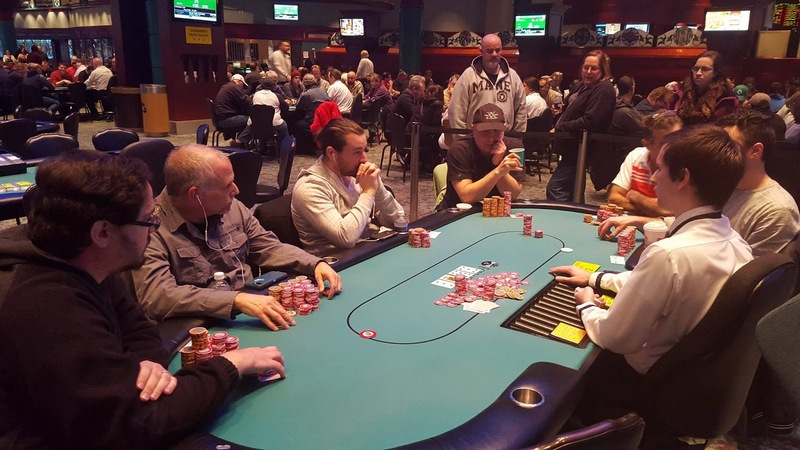 Kyle Kenney raises to 75,000, and James Campbell shoves all in. Kenney calls saying, "I have a weak ace." The board runs out [7s][5d][jd][9d][js], awarding Campbell a full double. 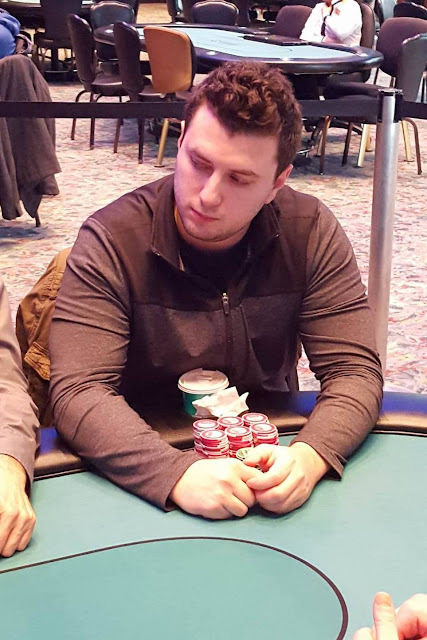 On a board reading [qc][jc][4d], David Datashvili checks, Kyle Kenney bets 200,000, and Datashvili shoves all in for 385,000 total. "No shame in folding, I know you have outs," Datashvili says to Kenney. Kenney takes a moment to think, and calls. Unfortunately for Datashvili, the [4s] turn, and [5h] river do not improve his hand, and he is sent home in 9th place. 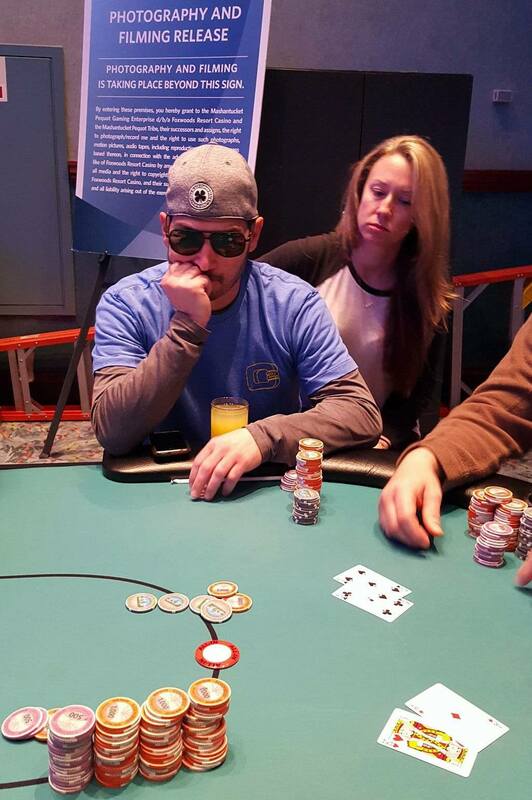 Anthony Cardone got it all in holding ace-ten against his opponent's ace-queen, and was eliminated in 6th place. 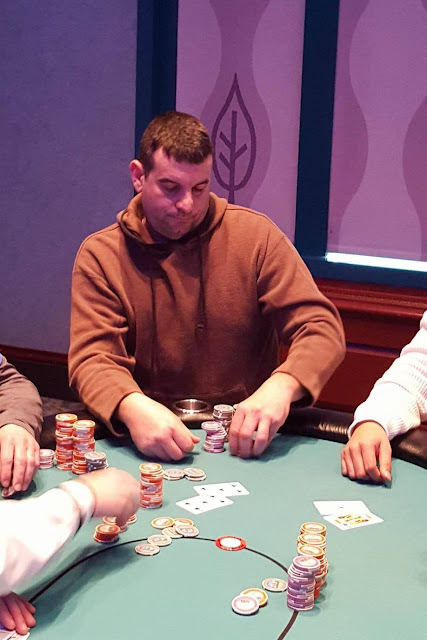 Action folds to Jonathan Drane in the small blind who shoves all in. Steve Berkowitz quickly calls in the big blind. 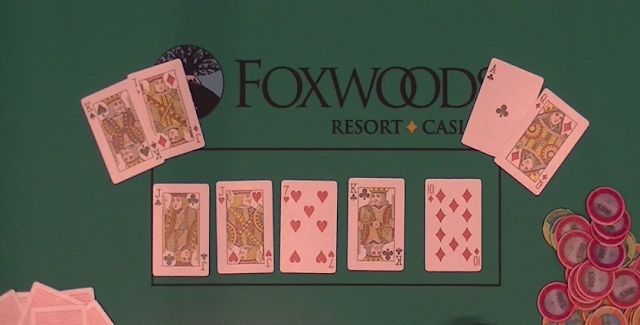 The flop comes [4c][10c][6c], leaving Berrkowitz in the lead. 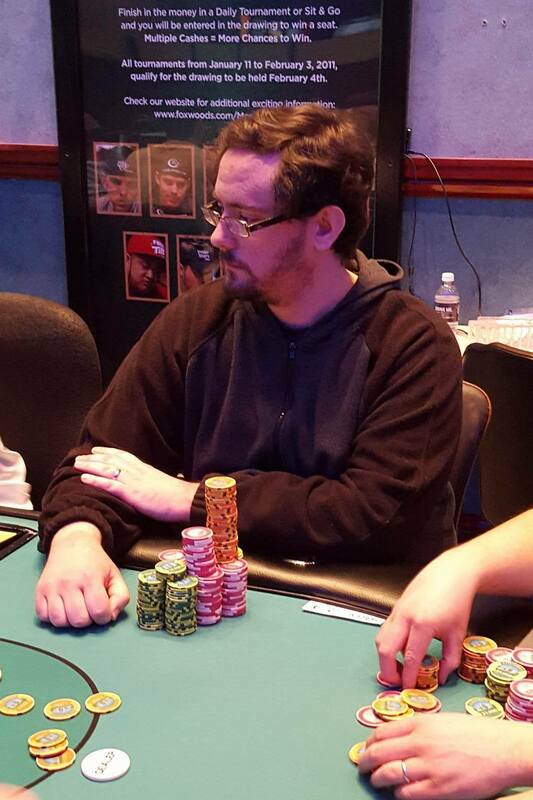 When the [ah] comes on the turn, Drane takes the lead with his higher pair. 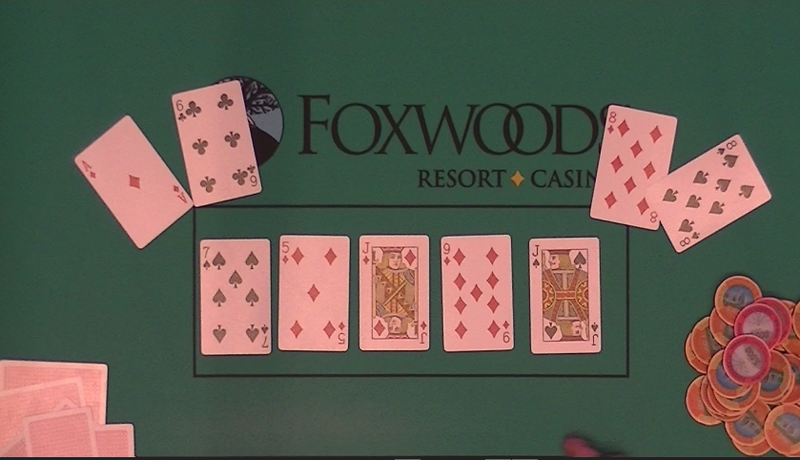 The [7d] on the river does not improve Berkowitz's hand, and Drane is awarded a full double up. 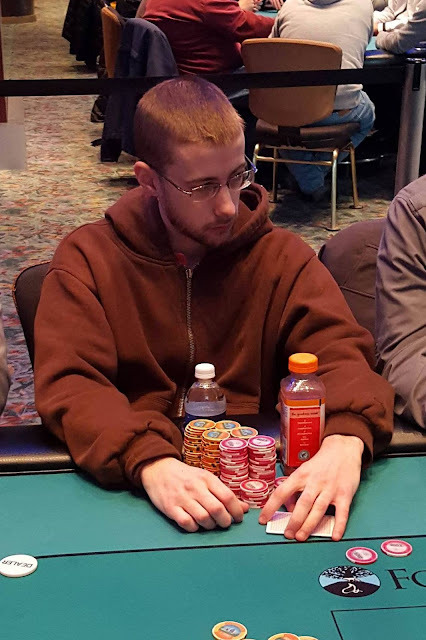 On a board reading [9d][8h][2c], Kyle Kenney checks in the big blind, and David Datashvili bets 50,000 in middle position. Kenney raises to 175,000, and Datashvili calls. Both players check the [7d] turn. When the [2d] comes on the river, Kenney bets 200,000, and Datashvili goes into the tank. After nearly four minutes of thinking, Datashvili folds. Kenney shows a bluff holding [kd][jh]. Action folds to David Datashvili in the hijack who raises to 52,000. A player on the button calls the 52,000, and Matthew 'Bucky' Wantman shoves all in for 260,000 in the small blind. 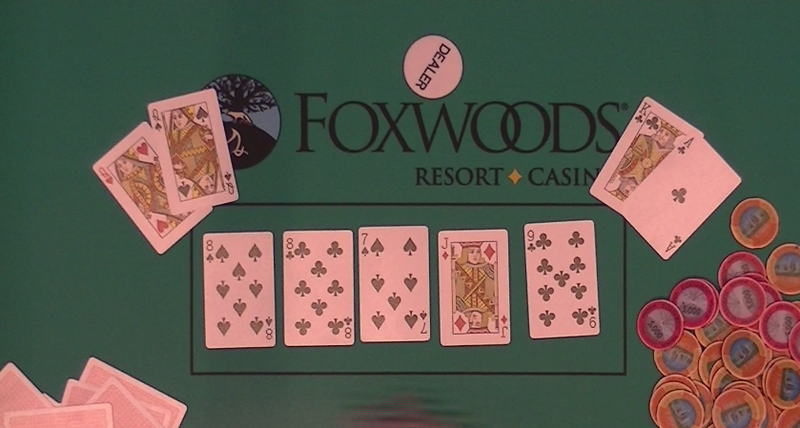 Datashvili folds, and the player on the button thinks for a minute, and then folds [as][qh] face up. John Huynh shoves all in from middle position, and is called by Donald Schneider in the cutoff. 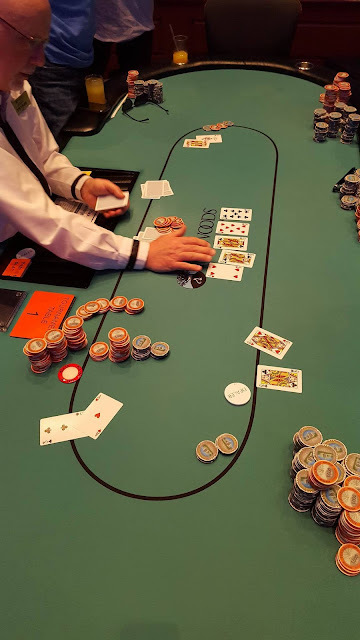 The flop comes [ac][kd][[3h], giving Schneider the lead with his two pair. Adam Darkazalli is all in holding [ah][kc], against Donald Schneider's [jh][js]. The board runs out [kd][9h][ks][ac][4s], awarding Darkazalli a full double. 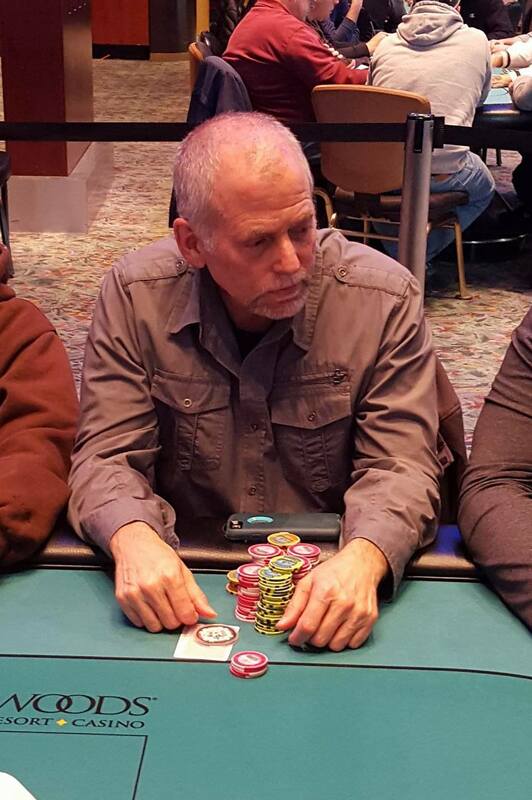 Action folds to Jeffrey Giordano in the small blind who shoves all in for 26,000. 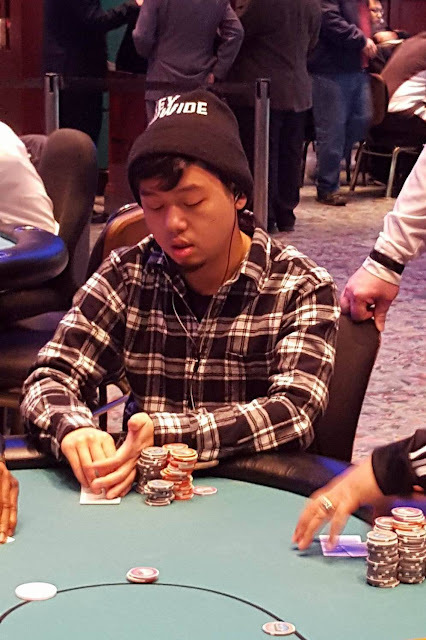 Jack Duong calls in the big blind. 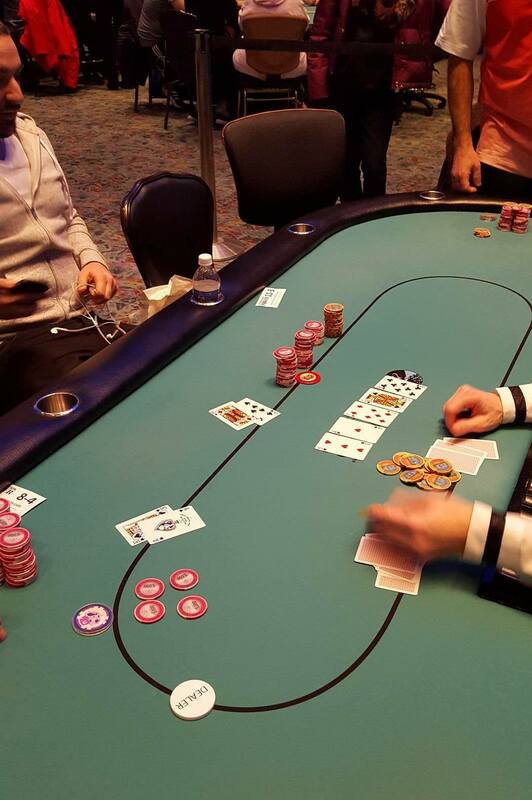 Giordano is safe when the flop comes [10h][9d][6c], and the turn comes the [3s]. 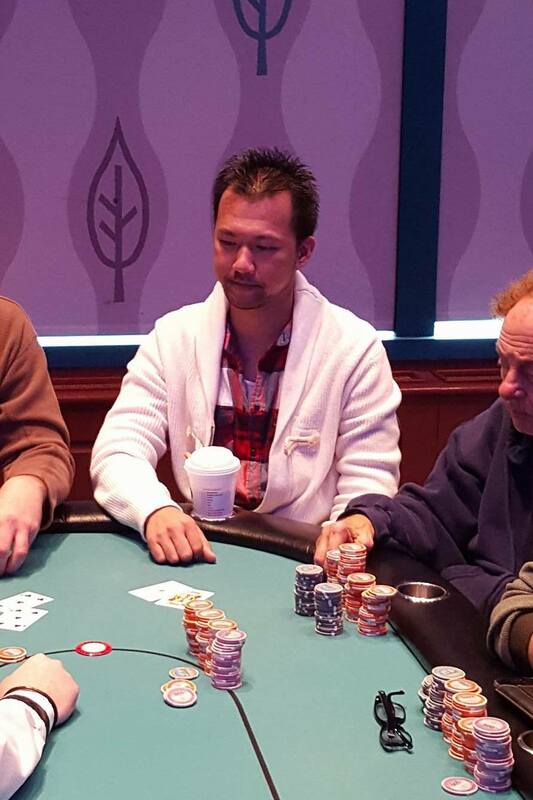 It's the [jc] on the river that gives Duong a pair, and Giordano is sent home in 8th place. Jonathan Drane raises in early position. Action folds to Kyle Kenney in the big blind who shoves all in, having Drane covered. Drand quickly calls. It looks very promising for Kenney as the [ac] appears in the window, but right behind it is is the [kc], followed by the [6s]. The [7c] turn and [6h] river ensure a full double up for Drane. 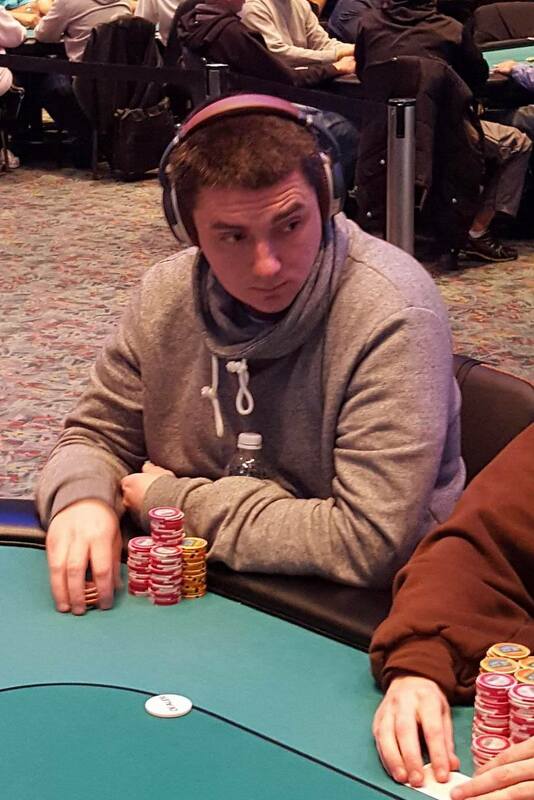 Action folds to Steven Berkowitz in the small blind who limps in. Vinny Maglio shoves all in from the big blind, and Berkowitz quickly calls. The board runs out [ah][7d][3h][js][8c], eliminating Maglio in 11th place. 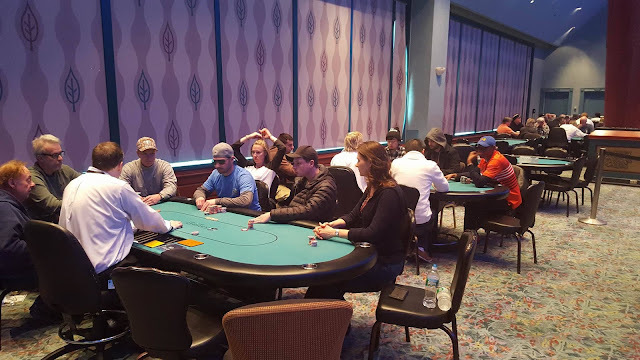 We have now reached the final table of the Main Event. Players will go on a 15 minute break before play resumes. 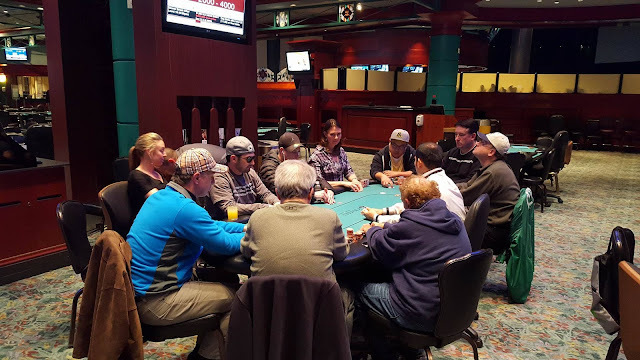 Event #14 is now on their first break of the day. 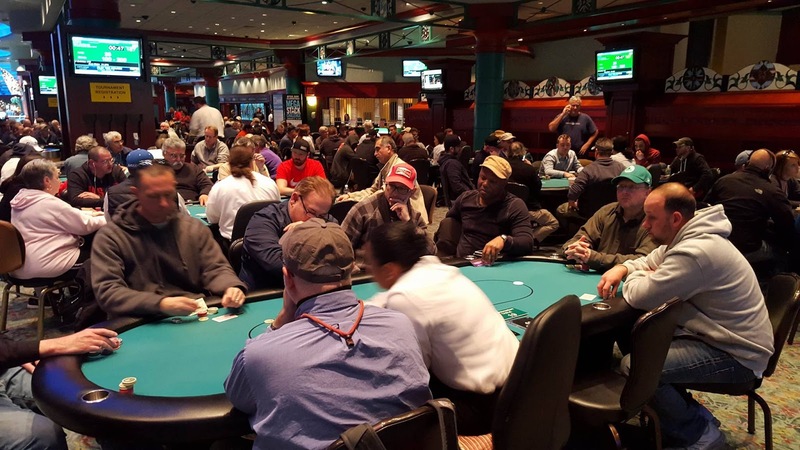 So far, there are 167 entries into the final Mega Stack event. Players have until the beginning of level 11 to enter/re-enter. And the structure can be found here. Jason Eisele checks the [kd][9h][3h][5s] board, Roland Israelashvili bets 200,000, and Eisele goes into the tank. After a minute of thinking he announces he is all in, having Israelashvili covered. Israelashvili thinks for nearly two minutes before folding his hand. Eisele is now sitting with 1,480,000. James Campbell raises to 35,000 under the gun, and Richard Alarie reraises to 100,000. 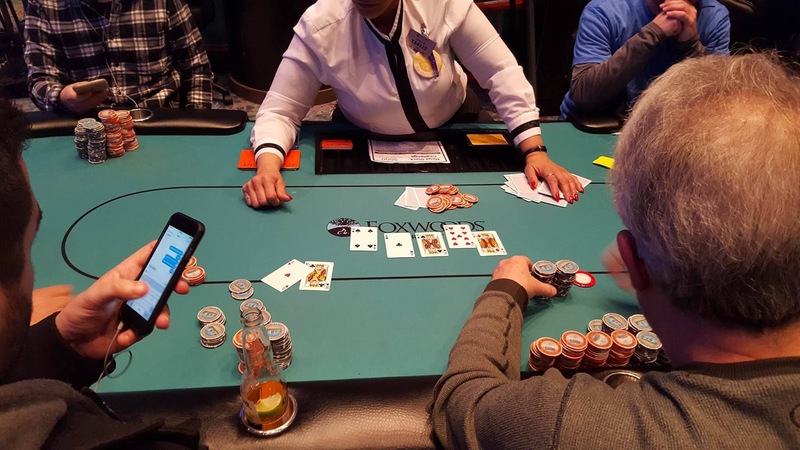 Both players check the [ah][jd][2d] flop and [7h] turn. When the river comes the [7s], both players again check. Alarie turns over [qd][qd] to take the pot. Campbell is now sitting with nearly 400,000. Full structure is available here. 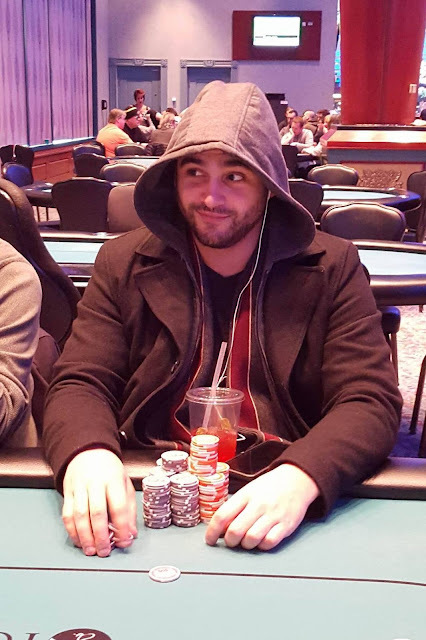 On a board reading [9h][5h][4c][8h], Jason Eisele checks in the small blind, Vinny Maglio bets 36,000 in the hijack, David Datashvili calls in the cutoff, as does Eisele. When the [qs] comes on the river, Eisele checks, Maglio checks, and Datashvili goes into the tank. After a minute and a half, he checks as well. Eisele shows [ah][10c] for ace high, Maglio shows [9c][6s] for a pair of nines, and Datashvili mucks. Datashvili asks Maglio, "Do you call a river bet?" Maglio responds, "I dont know man." 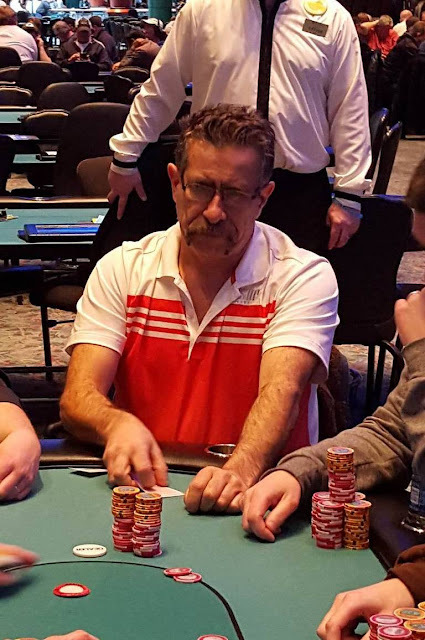 Maglio is now sitting with 470,000 in chips.